I keep getting e-mails, IM’s and hits on my blog asking me if and when I am continuing my Blue Mage series. Let’s take a moment to talk about it. Blue Mage is a post-apocalyptic harem fantasy/sci-fi story. The world was destroyed nearly ten thousand years earlier and a hybrid fantasy/sci-fi world was born from the ashes. It is an epic journey of a young mage trying to navigate his magical college studies, challenging great evils and take some control of his varied love life. The story is near and dear to me because the characters became very special. As the story continued, it pained me to see the characters go through so much heartache. The bright side of it, you cheered their triumphs and overcoming great evils. After the 5th book, I had to take a break. Now that Lewd Saga is ending,I am turning my gaze on new projects. I have a list of books to write but I’m willing to fit in the 6th book in the series if there is enough interest. This will be a small call to action. If you want me to return to the series, please like, comment, send me e-mails (edenreddx@gmail.com) or share this post or other posts similar to it. I need to hear from you. I need to know if you want their adventures to continue. I need that spark of love, calling to me to write their journeys in the magical world of Lurth. Prev Lewd Kingdoms: Fallen Throne is Live! 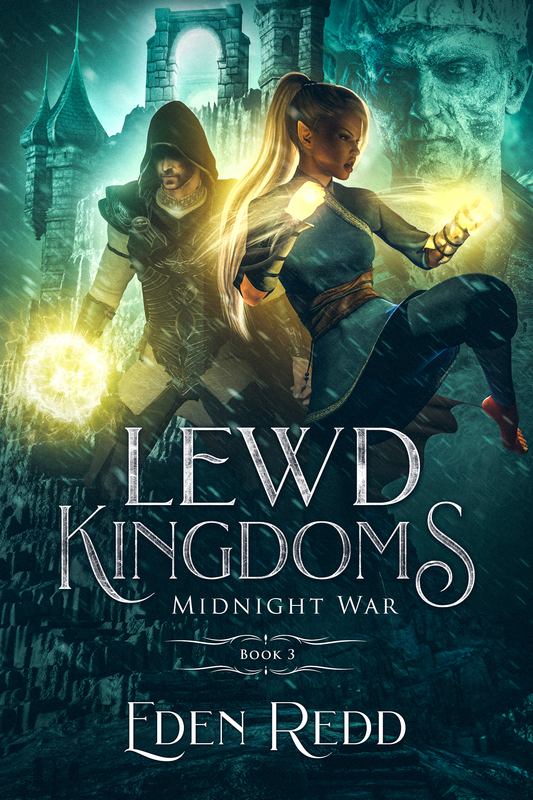 Next Lewd Kingdoms: Midnight War is Live! If I have to be honest, the romance between Trystan and Nia is what drew me and kept me reading through the whole thing. Which is not to say the story as a whole isn’t amazing, but that specific romance was always the main focus for me. I’d love to see more to the story, but I can’t honestly say it would feel complete to me with Nia out of the picture.